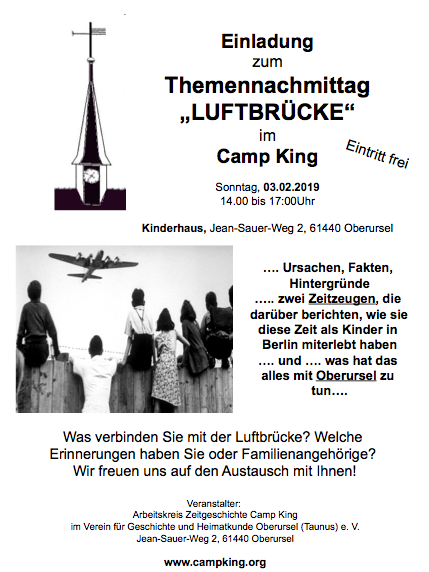 ‘The Berlin Airlift – 70 Years Later’ on 03 February 2019 from 14:00 – 17:00 at the Kinderhaus on Jean-Sauer-Weg 2 in 61440 Oberursel. 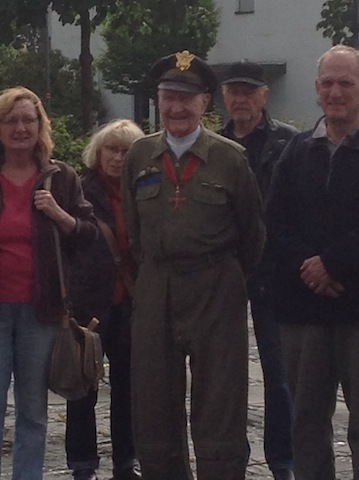 The small town of Oberursel and a few of its temporary residents provided a significant contribution to the initiation of the airlift. I bet you didn’t know that. We will be showing videos, giving presentations, and offering the opportunity for discussions and questions. The ‘Notopfer Berlin’ (Emergency Victims of Berlin) tax stamp sale was an economic aid program to support the Berlin economy during the Soviet Blockade and the post-WWII period. 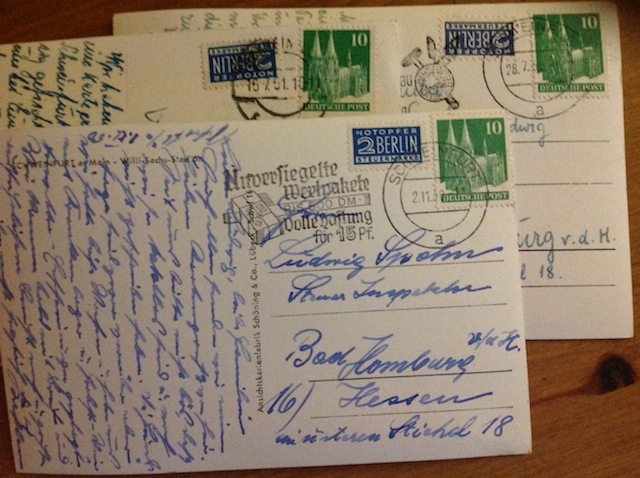 This extra stamp was required on most postal transaction, such as letters and postcards, within Germany until 31 December 1957.